For example, I zoomed into the George Washington Bridge, which connects New Jersey to New York City and it showed me a webcam. 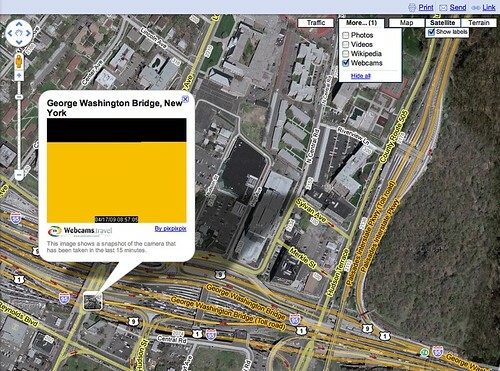 This can be incredibly useful for those not just looking for the traffic, but for a new level of street views. The default layers now include photos, videos, wikipedia and now webcams.